Carmel, Ind. — Phired Up Productions is seeking applicants for at least one (potentially more) sorority educators to start later this year. The demand for sorority training from Phired Up continues to rise. Our staff delivers hundreds of educational programs (and long-term coaching support) on recruitment, retention, Social Excellence, and marketing to chapters, councils, and inter/national clients across the continent every year. As the company seeks to meet rising demand, we are actively seeking candidates to serve in full-time roles and potentially part-time roles; we are seeking both highly experienced professionals for appropriate positions based on experience along with newer professionals interested in making a major industry impact. The primary position description and application process instructions (available here) outlines core responsibilities and expectations of the most likely position we will immediately fill. The company is interested in a wide range of candidates who want to help us build the future of sorority together. The priority deadline for applications is February 15, 2019, however we will continue accepting applications beyond that date until all available positions are filled. Please contact Branden Stewart, Phired Up’s COO, at Branden@PhiredUp.com with any questions related to the position description, application process, or to suggest a candidate that you think may be a great fit for the position. About Phired Up Productions: Phired Up Productions helps fraternities and sororities grow. The company’s products, services, and brands are creating the future of fraternities and sororities by transforming the way people join. The company delivers relationship-focused, data-driven, results-producing TECHNOLOGY, EDUCATION, and STRATEGY solutions for every aspect of the pre-member experience from first-impression through initiation. 1. Use the technology that is built for fraternity recruitment and that thousands of other chapters across the country are already using. Learn more at www.chapterbuilder.com. 2. Gather the “workhorses” in your chapter together and get to work. Great recruiting chapters understand that it is a group of key members working their a$$es off to build meet high quality men and build real relationships that gets the best results. Read more here. 3. You want the RIGHT men for your chapter. You want brothers, not just buddies. Choose wisely. Did you know that nearly 100,000 men will join a fraternity this year. Let’s make sure we get the right ones. It’s time for every chapter to determin what a “5 Star” recruit really looks like for them. You should know the objective, measurable, data-driven criteria your chapter uses to screen PNMs to ensure only the best get an invite. You’re not looking for “good guys.” You’re looking for men who will help build the future of your chapter. 4. Remember, “You can’t recruit who you don’t know,” and “People join people.” Break recruitment down into easy steps. Meet people. Build relationships with them. Decide if they’re high quality men who deserve the honor of wearing your letters. Close the deal. Systemize and maximize this relationship building process for success. 5. Cut the fat. Whether you’re doing a structured recruitment or you’re recruiting all year long, there are things that get results and things that distract you and your brothers. Prospects don’t need to be impressed, they need to feel cared for. The best potential members don’t care about flair, they want to feel like they belong. Focus on what really matters, and cut the rest of the B.S. Start fresh. Recruit smart. Recruit modern men for modern organizations. Watch this video and share it with your members! Anyone who knows me knows that my dad is a character. Seriously, he needs a reality show. Along with his humor, he is also a charter member for the chapter of his fraternity. Cool, right?! In one of our conversations, I asked him if he ever recruited someone to join his fraternity. I mean, after all, wasn’t he recruited seeing as though he’s a charter member?! He went on and on with a bunch of pretty words and nice sentences, all to say no. He insisted that because of the image, programs, and impact the chapter produced on campus, men would naturally flock to join. Because of this, he felt there was no need to recruit. My dad isn’t an anomaly to this thought process as I have heard this same rhetoric from various members of culturally based fraternal organizations (CBFOs). I was curious to see what current students thought of this, so I launched a survey for members of CBFOs asking two questions: (1) what inspired you to join your fraternity/sorority? and (2) have you recruited someone to join your organization, or will you? • 79% of the participants joined their organization because the mission, values, and/or programs resonated with them. • 72% of participants said yes they have recruited someone, or they will recruit someone to join. • 52% of the participants were initiated within 2016-2018. • 31% of the participants joined their organization because of a mentor, coach, teacher, or church leader is a member. Friends, this is good stuff. I mean, good. This tells us that a) members of CBFOs have a desire to be engaged in purpose-driven work, b) there is a belief in recruiting, and c) that people join people. While a chapter may not host a recruitment driven program or have a recruitment chair on the board, recruitment is happening. And many chapters want to actively recruit because they desire more help, more impact, and more chances to change lives with the privilege and development that comes with membership. The reality is that every program, every Instagram post, and every interaction with someone is recruitment (or if you don’t like that word because it reminds you of stuff you despise, let’s call these “growth tactics”). Growth in organizational impact, community influence, and member development. Infusing techniques to build rapport, foster influence, and develop relationships into the member development curriculum is integral to the sustainability of CBFOs – and that is exactly what I am excited to do! The desire and/or natural affinity to be in community is who we are at our core. I am inspired to develop strategies, tips, and resources for students to engage in community through conversations that matter. Whether the content is through web-based material, in-person conversations, or one-one-one coaching, I am committed to developing resources to educate around building relationships and sustaining rapport. It is important for members to begin having meaningful conversations with people interested in joining. It is important for members to know how to maximize impact and growth through relationships. It is important for members to be equipped with tools to begin a paradigm shift in establishing a culture of interpersonal development within CBFOs. I am so excited to be on this journey with Phired Up to provide leadership for the expansion and execution of intentional educational experiences for CBFOs. It’s time to move the needle forward in our organizations. We cannot wait for you to join us on this journey! I’d love to hear from you to talk more about growth for CBFOs! Email me at Hailey@PhiredUp.com to get a conversation started today. Carmel, Ind. — Hailey Mangrum will join the Phired Up Productions team in a part-time role beginning in February as a Culturally-Based Fraternal Growth Consultant. Hailey joins Phired Up while simultaneously serving as the Assistant Director of Fraternity and Sorority Life at Virginia Tech. 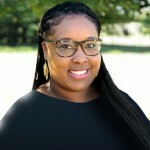 She will be joining the Phired Up team at AFLV Central in early February as part of a panel to share her expertise on growing culturally-based fraternal organizations. Hailey is a graduate of Western Michigan University where she earned her bachelor’s degree in communication and joined Delta Sigma Theta Sorority, Inc. She went on to earn a master’s degree in Student Affairs Administration in Higher Education from Ball State University before working full-time with the fraternity and sorority community at her alma mater, Western Michigan University. As an active professional within the fraternity and sorority field, Hailey has volunteered for the Association of Fraternity/Sorority Advisors, several national fraternity and sorority leadership programs, and has developed exceptional facilitation and presentation skills through her role as a lead facilitator for NIC programs like IMPACT. When Hailey isn’t working or traveling, she enjoys being in community with others, reflecting on This Is Us, and vibing to a good Drake playlist. 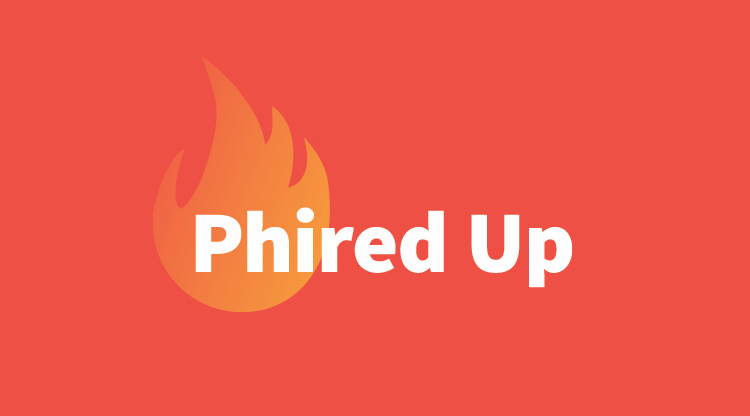 Phired Up has long been proud of its work that has directly served culturally-based fraternities and sororities. The addition of this position to the team, however, represents one of several ways the company is committed to serving culturally-based groups better. One of Mangrum’s first jobs will be to organize a volunteer committee of other professionals who care about helping culturally-based fraternal organizations grow. To volunteer for this committee, click here. Please help us welcome Hailey to the team by sending her an email at Hailey@PhiredUp.com, and read Hailey’s first blog post on culturally based fraternal organizations here!